Comment: When it comes to the “sweat” magazines, often “true” is a relative term. 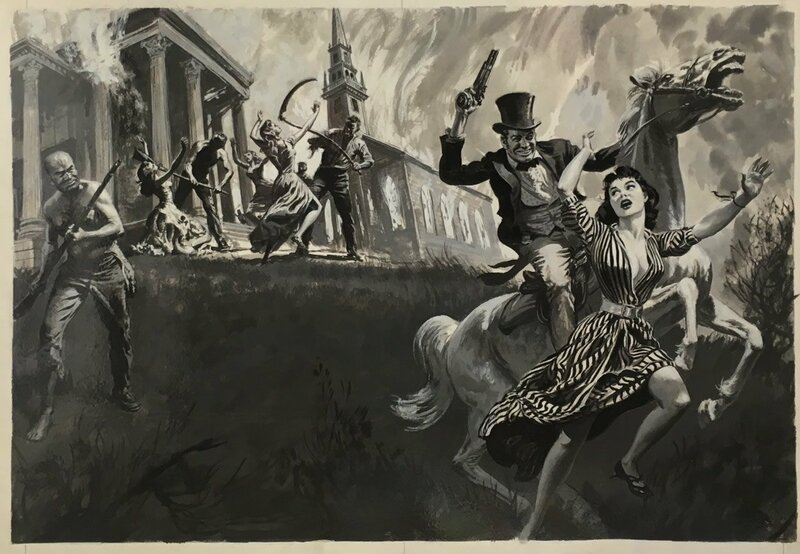 But, I was heartened (guessing that that’s the right word) to learn that there actually was a John Murrell. Man oh man, that guy was something... assuming that we can believe what appears on that beacon of truth and accuracy, the internet. You can look him up. Saunders was one of those illustrators who was consistently good at taking a crumb of information and making an elaborate dessert from it. 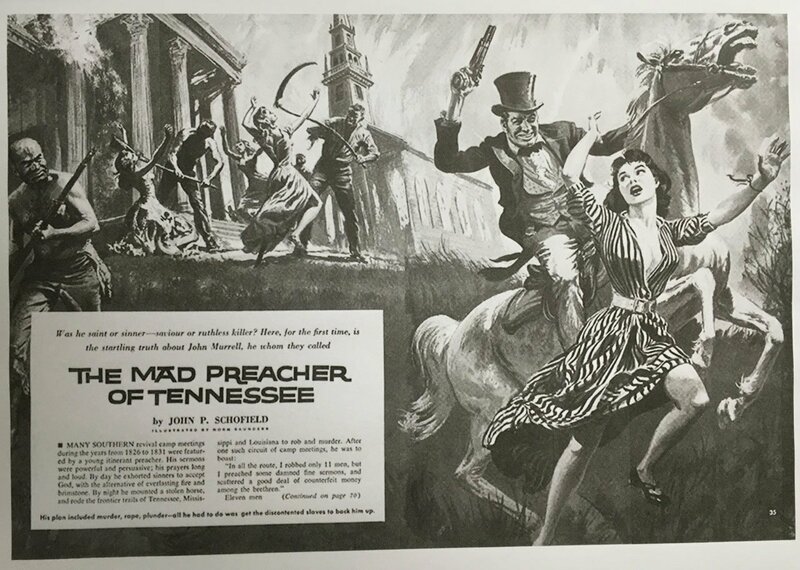 Publication Information	 Story illustration for “The Mad Preacher of Tennessee” by John P. Schofield appearing in True Adventure magazine for August 1959.